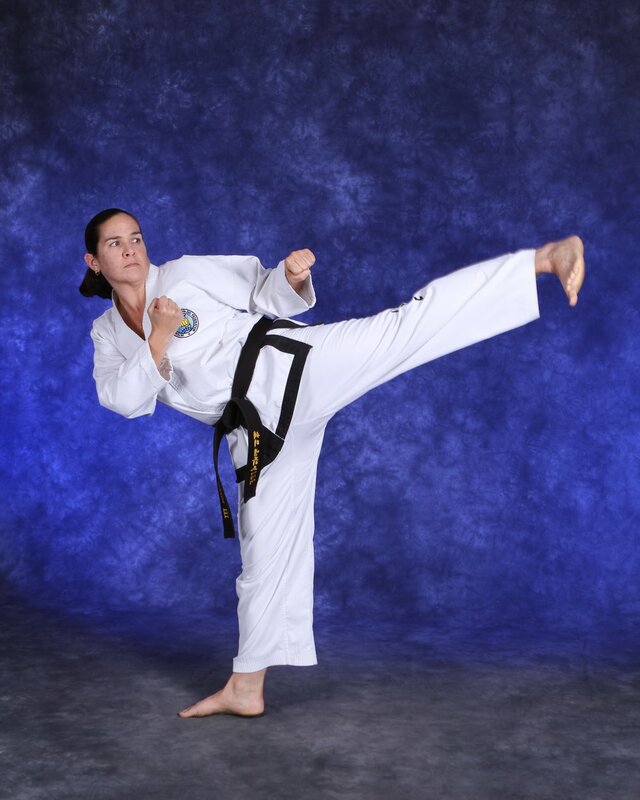 Mrs. Sheri Ambriz is a fourth degree black belt who has been a black belt for over six years. She is a national and international competitor, her most recent competition being the World Championships in Italy where she placed bronze in patterns and sparring. Both her husband, Nestor, and son, Moises, also practice Taekwon-Do, and they often train together during the 6 PM family class.